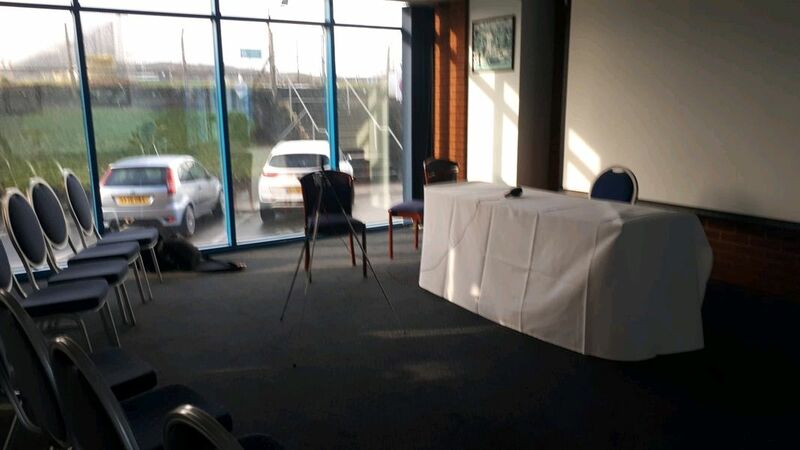 My view at the LUFC press conference today in The Bremner Suite. Chesterfield steal all three points from relegation rivals Barnet in a vital game at the foot of League Two, after coming from behind to win. John Akinde gave Barnet an early unexpected lead before an own goal from Barnet defender Charlie Clough out Chesterfield back on level terms. Birthday boy Robbie Weir popped up with a stoppage time winner for Chesterfield, making it just 1 loss in 7 for the Spireites. Manager Jack Lester made 7 changes to the side that lost 2-0 to Fleetwood Town last weekend, keeper Cameron Dawson made his debut in place of the injured Joe Anyon. Briggs, Dimaio, Mitchell, De Girolamo and O’Grady all dropped to the bench whilst Maguire doesn’t feature. Replacing them was Sam Hird, captain Ian Evatt, Kristian Dennis, Andy Kellett, Louis Reed, Jack McCourt and Bradley Barry. Barnet kicked off on this frosty Saturday afternoon at The Proact Stadium. It was however the home side who started the better side, playing good passing football in the opening exchanges. Their first sight of foal came when full-back Jerome Binnon-Williams crossed in from the left to find Joe Rowley, who couldn’t keep his headed effort down. After the 10 minute-mark Barnet began to have more possession in Chesterfields half and, much to the surprise of both supporters took the lead on 13. Winger Ryan Watson lofted a seemingly stray pass towards the box which bounced straight into the path of the on-rushing Akinde. The target man took his time before striking past Dawson into the bottom corner. 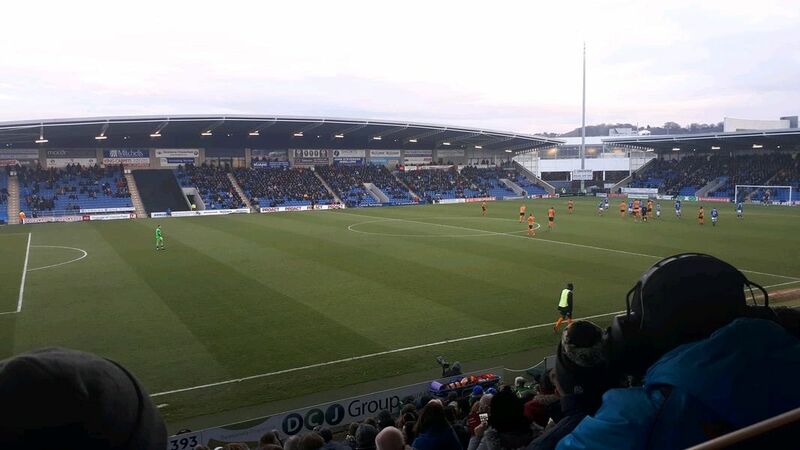 Fans of Chesterfield were now in full voice, and the Spireites had their best opportunity of the game when Jak McCourt was urged to shoot from distance, bringing a low save from keeper Jamie Stephens. The play was growing sloppy and scrappy in the centre of the pitch, but Chesterfield pushed on an came close to scoring on 26. Midfielder Andy Kellett weaved his way into Barnet box and picked out Rowley at the back post, who took a touch and narrowly placed his effort over the bar from six-yards. Chesterfield dominated first half possession and had several chances to equalise through Binnon-Williams, Kristian Dennis, McCourt and substitute Matt Briggs, but all failed to test Stephens in the Barnet goal. Manger Jack Lester would have been disappointed with his team as they headed in for half time a goal behind. The second half started slowly and neither team was showing any signs of attacking threat. Tempers were beginning to flare as tackles were flying in all over the pitch, with the Chesterfield dugout in disbelief at some of the refereeing on display. Lester’s introduction of forward Chris O'Grady signalled his teams intentions with half an hour remaining. McCourt had another lively game and caused chaos in the Barnet box when his acrobatic volley from distance ricocheted between defenders, but the away side cleared the danger. Chesterfields pressure was rewarded with an equalising goal on 65 when substitute O'Grady whipped in a low cross and Barnet centre back Clough stuck out a long leg which in turn, looped the ball over his own keeper and into the far corner of the net. Now full of confidence, the Spireites were back on top. Dennis came close to giving his side the lead when a long ball from skipper Ian Evatt fell to him in the box, but the prolific striker could only force a save. Barnet almost clawed a identical own goal back of their own when Sam Hird deflected a shot just wide of Dawson's top corner. ​After a spell of Chesterfield dominance the game quickly settled down, both sides looked fatigued and were struggling to put a string of passes together. The snow began to fall over The Proact Stadium and it was Barnet who came closest in the final 5, when substitute Shaquile Coulthirst fizzed a long range effort just past the right hand post. As time was ticking on its seemed that it was too late for either team to grab a winner, but that was not to be. With 2 remaining minutes of stoppage time the home side were committing men to attack, one of whom was Evatt who was the unlikely provider to Weir with a reverse pass. Weir showed great composure as he slotted low past Stephens for the winner. Noise erupted from the stadium as Chesterfield are lifted out of the relegation zone for the first time since Lester's appointment. Chesterfield climb closer to safety after a deserved 3-2 win against Forest Green Rovers on an atmospheric night at the Proact Stadium. Jak McCourt headed Chesterfield into a first half lead which he doubled in the second after Forest Green were reduced to ten men. Christian Doide clawed one back for the visitors before Dennis got Chesterfields third late on. Doidge added a second for Rovers but it was too little too late. The home side made just one change to the side that beat Exeter 1-0 at the weekend, Robbie Weir replacing the suspended Scott Wiseman. Mark Cooper decided to name an unchanged line-up to the one that came from behind twice at the weekend to beat Crewe. Chesterfield started the Match brightly and could've had an early lead through McCourt when Louis Reed picked up a loose pass in the opposition half and fed McCourt, who forced a strong save from keeper Bradley Collins. Reed and McCourt were linking up nicely for Chesterfield, and were the catalysts of any home attack in the first half. Jerome Binnon-Williams had a good opportunity to put the ball into the Forest Green box when McCourt spread the ball wide, but the full-back put his cross out of the Proact Stadium. As for the visitors, much of their attacking focus was on their left flank with winger Reece Brown looking for the overlap of Scott Laird – who had a small disagreement with Chesterfields Bradley Barry leading to the booking of both players. The first goal of the game came courtesy of that man McCourt (21) who deftly flicked an in-swinging Andy Kellett free-kick with his head into the far corner of the net, lifting the roof off a tense Proact. McCourt’s goal sparked a spell of pressure for the home side. 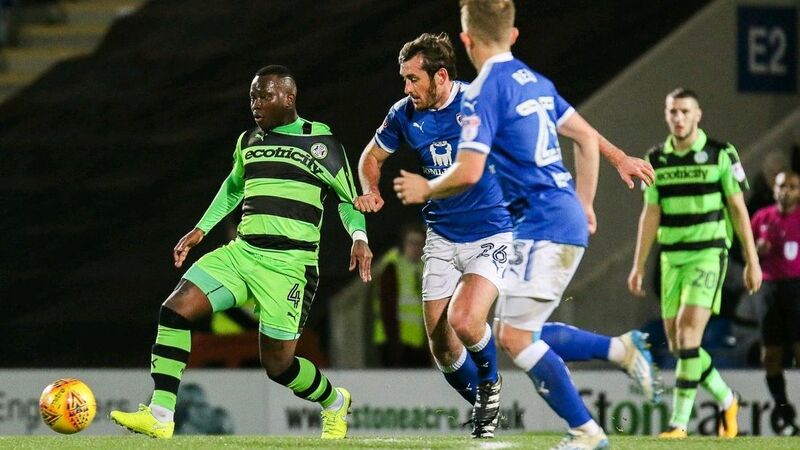 Forward Kristian Dennis should've doubled the lead just seconds after the restart, when he was played through by Kellett for a one-on-one which Forest Green keeper Collins won. Seemingly involved in everything through the first half, McCourt almost had his second of the game when he drilled a shot just wide of the post from 25 yards. Chesterfields position in the driving seat began to fade as Forest Green started pushing for an equaliser with ten remaining of the first half. Joe Anyon had his first save to make when he parried a fierce Keanu Marsh-Brown shot behind for a corner. ​At the peak of Rovers pressure The Speirites launched a counter attack which ended in another Collins save. After clearing a corner the ball fell to Kellett on the edge of the Forest Green box and hi a volley first time, the wayward attempt fell to Dennis on six yards who again hit straight at the keeper. HT: Chesterfield 1-0 Forest Green. A double substitution for the visiting team at half time looked as though it had injected a bit if life into their game, but this was short lived. Less than three minutes after coming on, Emmanuel Monthe was shown a straight red by referee Robert Jones after a reckless tackle on Chesterfields Joe Rowley. The dust just wouldn’t settle after the red card. Jack Lester's side had a penalty shout moments after when Kellett stuck the ball seemingly onto the hand of Forest Green defender Jack Fitzwater, appeals were however dismissed. Ten minutes after the restart it was two for Chesterfield and two for McCourt. After a clearing header from a home corner, McCourt (53) picked up the ball with 25 yards to goal, took a few touches and slammed the ball towards goal. Collins who had a good first Half had an obstructed view and couldn’t stop McCourt’s effort from going through his legs. Pandemonium was unleashing in the Forest Green box, successive corners and several attempts on goal from Reed and Dennis didn’t come as close as McCourt’s effort. The midfielder looped in a hopeful cross which was inches from his hat-trick as it rattled off the bar. The Home side were piling on the pressure, but conceded a needless goal with a third of the Match to go. Binnon-Williams gave possession to Forest Greens Dale Bennett deep in he home half. Bennett travelled into the Chesterfield box and squared it to striker Doidge (60) who converted for his fourth goal in the last three games. Chances were a plenty for Chesterfield, Reed and (you guessed it) McCourt both testing the keeper. The next best chance for the home team fell firstly to Rowley who forced the save from close, and then to Kellett when the rebound from Collins' fell to him. Kellett was swarmed by Rovers defence who managed to clear the danger. The game began to settle and swing in favour of both teams. Rovers were gradually coming back into the game but were set back once again with ten remaining. Rowley received a short corner and turned his marker in the box and whipped in a low ball which was tapped in by Dennis (81) at the near post. Reed was looking to add his name to the score sheet and almost did when he hit a shot from range which took a defection on it's way to goal. The shot however sailed over a relieved Collins bar. Four minutes of added time bought yet more action to the game. Brown whipped in a dangerous free kick into the Chesterfield box which was met by Doidge (90+2) for his second of the game. The goal gave an edgy feel to the final minutes but Lester's men held out for a deserved three points. ​Man of the Match: Jak McCourt- the midfielder was at the centre of everything today. Winning tackles in the centre of the park and scoring twice to give Chesterfield a well-deserved win. Sheffield Wednesday hold title contenders Bristol City to a goalless draw in what was an entertaining game of football that was up for grabs from start to finish. Carlos Carvahal named an unchanged team to the one that beat Aston Villa 2-1 before the international break, and was looking to build on Wednesday’s three game unbeaten run in the league. Wednesday enjoyed a positive first five of the game, passing the ball around nicely especially in the centre of the pitch. The first real chance of the game however fell to Bristol City’s Aden Flint who hooked a volley over his shoulder and just wide of a beaten Keiren Westwood's post. The Robbins almost scored again on ten minutes when winger Callum O'Dowda cut inside from the right and drilled a ferocious shot just inches from the top corner. After Bristol enjoyed a dominant spell in the Wednesday half, the Owls started to regain momentum and in almost identical fashion to O'Dowda’s effort on goal, Ross Wallace fizzed a shot just wide of the postage stamp from distance. Wallace and Wednesday were looking hungry for an opening goal, as he put another effort just past Frank Fielding’s right hand post before a penalty shout for Wednesday. Jordan Rhodes who got his first league goal against Millwall two games ago, ran through the Bristol defence before stumbling – referee Tony Harrington dismissed the claims. Rhodes almost had his second goal of the season when a long ball into the Bristol box fell onto the head of Gary Hooper who nodded back across goal and into the path of the on-rushing Rhodes who couldn’t convert his header. Carvahal's men found themselves in the driving seat for much of the first half, yet they nor Bristol could string enough passes together to get a good sight of goal. The visitors had a glorious chance with ten remaining of the first half. O'Dowda swinging in an inviting ball into Wednesday’s box which found Bobby Reid, him and three others beat the offside trap but his game effort was smothered by Westwood. Brownhill was having an excellent game for Bristol in the centre of midfield, and picked out Reid with an elegant chip over the Wednesday defence. Reid managed to put the ball past Westwood but his trickling effort was dealt with relative ease by the defence. The Robbins finished the half stronger but there were positives for both managers as the sides are all-square at half time. After the restart it was Wednesday who came out with more tenacity. A lapse in concentration from defender Hordur Magnusson almost gifted Rhodes a goal when his back pass to Fielding fell short, but the Bristol City man made up for his mistake. Then next chance of the half fell again to Wednesday and this time it was skipper Glenn Loovens. As Wallace whipped a free kick into the Bristol box from the right flank, Loovens leaped highest and header towards goal, skimming the roof of the net as it went behind for a goal kick. Lucas Joao's introduction for Wednesday Signalled Carvahal’s intentions with half an hour remaining. This did not deter a Bristol side that was brining the game right back to Wednesday, Brownhill went close to putting them ahead when his dipping shot whistled past Westwood's left hand post. Both teams were enjoying spells of pressure but neither could force a save out of the opposition keeper. Rhodes came close again with a header from a corner but couldn’t keep his effort down, as the Wednesday attack began to tick – Joao bought some much needed energy the both Wednesday and the game itself. Defender Flint was Bristol’s biggest goal threat in the game and almost mustered a goal when he the let the ball run through his legs and into the path of substitute Milan Djuric, who fired straight at Westwood from close range before the ball looped towards Flint who again when for the acrobatic, and was even closer to giving Bristol the lead than his earlier attempt. Referee Harrington was not making friends at Hillsborough today as he waved away what looked to be a stone-wall penalty. A neat one-two between Adam Reach and Barry Bannan on the edge of the Bristol box gave Bannan space to drive towards goal before he was seemingly brought down by Nathan Baker in the box. Play continued and it was met by thunderous boos from the home supporters. Wednesday were pushing for a goal with five to go, and Tom Lees came close when he rose to meet a cross from the right but shoved his effort over the bar. That proved to be the final talking point of this Baltic encounter at Hillsborough today, as both teams laboured out a point. 04.11.17 // Reach in top-form for Sheffield Wednesday. Sheffield Wednesday's Adam Reach scored his third goal of the season today as the Owls overcame play-off hopefuls Aston Villa in a well deserved 2-1 win at Villa Park. The left winger spent 6 years at home town club Middlesbrough making 63 first team appearances, before signing for Sheffield Wednesday for a fee of £5,000,000 in August 2016. In two seasons, Reach has made 55 appearances and scored 6 goals, 3 coming in his last 3 games. Carlos Carvahal’s in has had limited midfield selection recently, with Fernando Forestieri and George Boyd out injured. ​Boyd is Reach’s main competition for the left wing spot at Sheffield Wednesday, and will be challenging for it when back to fitness. If Reach can maintain his current form then Carvahal will have some tough decisions to make when he has a fully fit midfield. Sheffield Wednesday (14th) play away to Aston Villa (5th) on Saturday, as the Owls look to build on their solitary away win of the season. Last time Carlos Carvahal's men picked up three points on the road was in August against Fulham. This kind of away form means Wednesday boast the league's sixth worst away record. - One or more goals conceded in last four games. - Seven conceded in opening fifteen minutes of all games this season. Despite winning their last game against Millwall 2-1, it is only the Owls second victory of their last eight outings. At the other end of the pitch, Adam Reach is proving to be a goal threat netting twice in the last two fixtures. Striker Jordan Rhodes also managed to grab his first goal since March against Millwall last Tuesday. Gary Hooper remains Wednesday's top scorer with seven in all competitions this season. Fernando Foristieri is still injured for the Owls with a knee injury, whilst Danil Pudil is unavailable after sustaining a groin injury against Barnsley last week. - Nineteen points from their last eight league games. - Lost just one of last twelve league games, winning seven. - Unbeaten at home this season. Villa beat play-off hopefuls Preston North End 2-0 last time out, following a slightly disappointing 0-0 draw away to rivals Birmingham City. Midfielders Albert Adomah and former Barnsley skipper Connor Hourihane are the top scorers for Villa - both scoring five this season. Andre Green is injured for Aston Villa, and Jack Grealish remains side-lined till next year. Barnsley deny Sheffield Wednesday all three points in a hard fought draw in South Yorkshire. 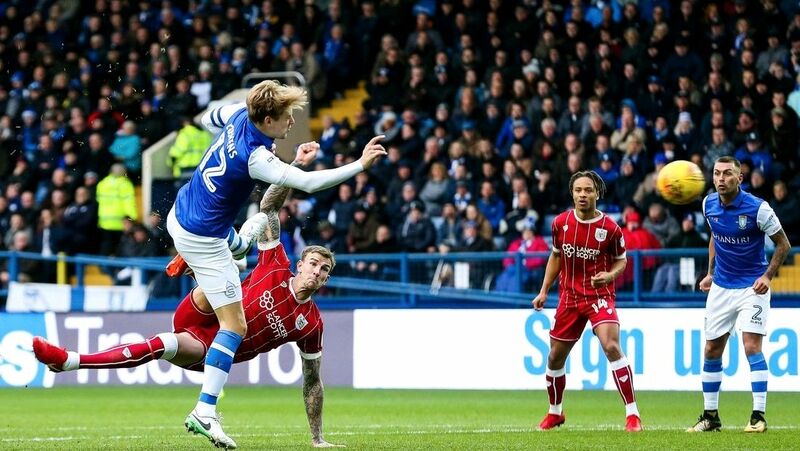 Wednesday’s Adam Reach opened the scoring for the owls, before a stunning goal from Barnsley’s Harvey Barnes left Wednesday fans feeling bitter. 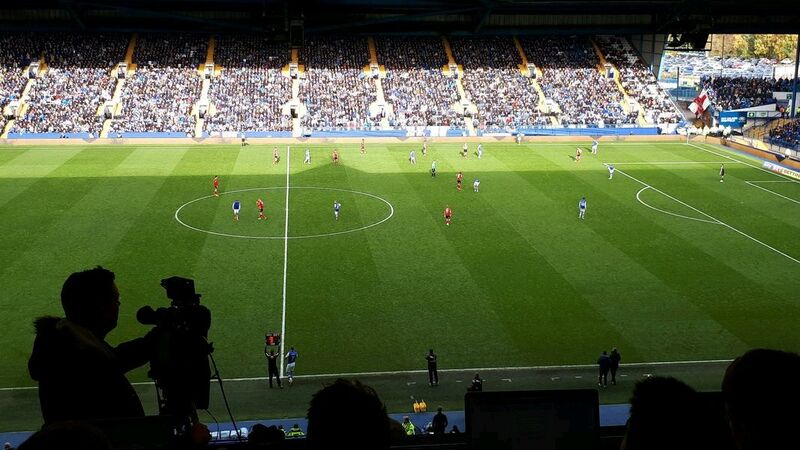 Sheffield Wednesday kicked off as they faced Barnsley in what was a sell-out South Yorkshire derby at Hillsborough. The home team were looking to rectify back-to-back defeats and had to do so without captain Glenn Loovens who saw red against Derby County last time out. The visitors were looking for their first points of October, lying three places below Wednesday in 19th place in the Sky Bet Championship. It was the home team who set the pace of the game. Today’s skipper Tom Lees had a half chance in the opening exchanges, after Keiran Lee worked a ball into the box. Barnsley’s first opportunity of the half came when Lee dangerously misplaced a pass on half-way. Tykes forward Tom Bradshaw picking up the loose ball and driving towards goal before Lees made a solid block in the Wednesday box. Owls striker Steven Fletcher fluffed a good chance to put his team ahead, Barry Bannan cutting inside from the left and finding the Scotsman who miskicked his shot. This marked a spell of pressure for Wednesday who were looking to put the ball in the box at every opportunity. Captain Lees again had a chance to score but his header was easily saved by Barnsley goalkeeper Adam Davies. Davies’ counterpart in the Wednesday goal – Keiren Westwood was called into action for the first time on 27 minutes, getting down to his right well from a Cameron McGeehan free-kick on the edge of the Wednesday box. Fans of both teams were in good voice but both were silenced when Lee picked up the ball 30 yards from goal. Davies was left hopeless in the Barnsley goal as Lee’s effort hit the upright, Fletcher unable to follow up the shot. Ten minutes before the break, the home team took the lead. Winger Adam Reach found the ball on the edge of the Barnsley box and scored what has to be described as a bit of a fluke. Reach struck the ball with his left foot and onto his right foot, sending the ball looping over an unlucky Davies in the Barnsley goal – 1-0 Sheffield Wednesday. The Owls started brightly in the second half, full-back Jack Hunt had two half chances early on but failed to make anything of them. The latter chance led to a Barnsley counter attack, again coming to nothing as Harvey Barnes had his effort headed away by Lees. Carlos Carvalhal’s men were close to doubling their lead eleven minutes into the second half. Bannan linked up neatly with Fletcher and Lee on the edge of Barnsley’s box before attempting and very nearly succeeding in chipping the keeper from the left. Tykes defender Andy Yiadom came to the rescue for the visitors, acrobatically heading Bannan’s effort off the line to keep it at 1-0. Bradshaw had the visitors best chance of the game on 60 minutes. The striker picked the ball up in the Wednesday half and uses his blistering speed to beat defender Joost van Aken before hitting the underside of the bar. Barnsley’s frustration began to show when the referee halted play during a Barnsley attack, Wednesday’s Daniel Pudil being forced off with what appeared to be a hamstring injury. Head coach Paul Heckingbottom’s frustration was short lived however. Two minutes after the restart, youngster Harvey Barnes equalised with what has to be a contender for goal of the season. Barnes took the ball onto the left hand side before cutting in and looping a 25 yard curler over Westwood – 1-1 in the game at Hillsborough with twenty minutes remaining. Wednesday introduced Jordan Rhodes to the game on 73 as they searched for a goal. It was however Gary Hooper, who had been quiet all game, that had the next best chance of the game. Hunt again causing Barnsley problems down their left hand side, picked out Hooper who headed straight at Davies from six yards. Heckingbottom’s men stood firm in the face of the Wednesday on slaught, and even had the ball in the back of the net before it was ruled our for a foul. Tension was rife within the stadium as the fourth official indicated for 5 minutes of added time.